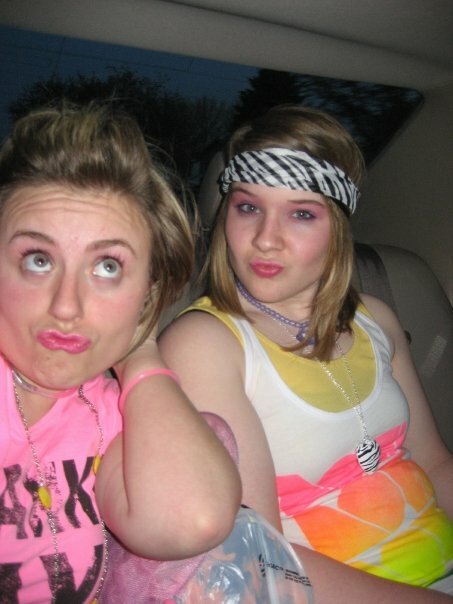 Lacey and Lauren have been best friends since 7th grade. (There’s a good story for this; we’ll save that for Maid of Honor speeches, though). They’ve done lots of crazy stuff together. 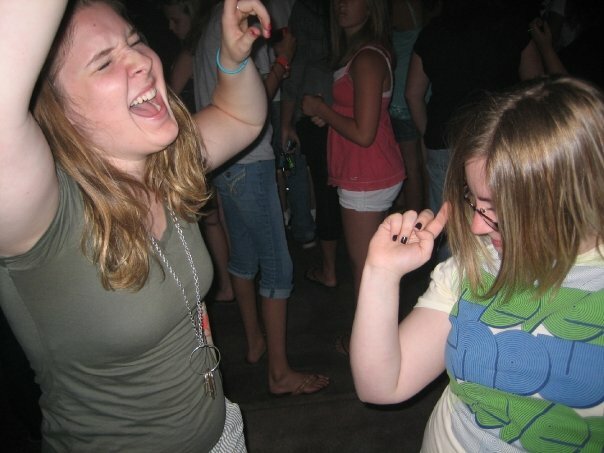 ragin’ at a concert. Yeah, they’re outta control. 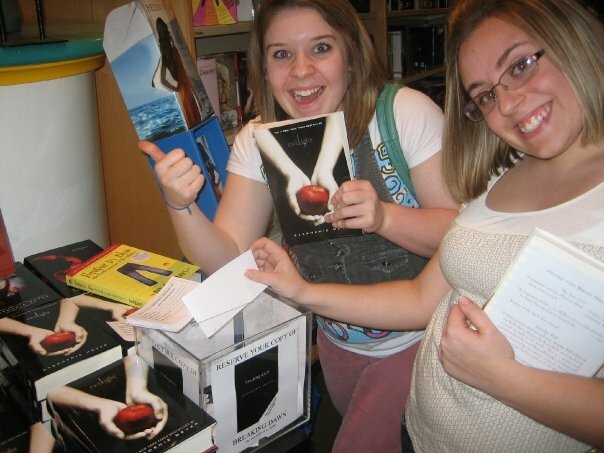 And when they attended different colleges they continued to loan and suggest books to each other. Eventually, they both jumped on the e-book wagon and started virtually loaning books to each other, thus creating a makeshift “Long Distance Book Club.” Now, even farther away from each other as they venture into new adulthood (full time jobs and grad school, ugh), they continue to loan books back and forth and fangirl out about their faves. Normally one would read a book and loan it to the other, and then a voracious text conversation analyzing the plot would ensue. Now, they’ll take it to the blog to tell you how they really feel– abbreviated words and all. So really, it’ll be like you’re having a conversation with your 2 besties that have a LDR. PS– how adorbs is this? Lauren makes Lacey a themed birthday cake every year!